Mrs Beeton Mrs Isabella Beeton did not spell her name Beaton. 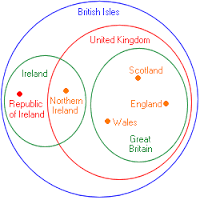 GB / UK Great Britain is not the United Kingdom, nor vice versa, but Great Britain is part of the United Kingdom (of Great Britain and Northern Ireland). Northern Ireland Northern Ireland is not part of Great Britain, but it is part of the United Kingdom (of Great Britain and Northern Ireland). 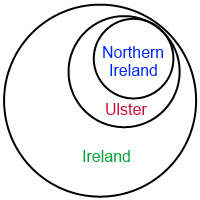 Ulster / NI Ulster is not NI (Northern Ireland), nor vice versa, but Northern Ireland is part of Ulster. Fellow pedants are welcome to use the contact page to submit their suggestions which may, at the editor’s discretion, be added to the guide during periodic updates.